This gal is holed up in her retreat web, formed by folding over and tying a plant leaf into a cup-shaped safe harbor. 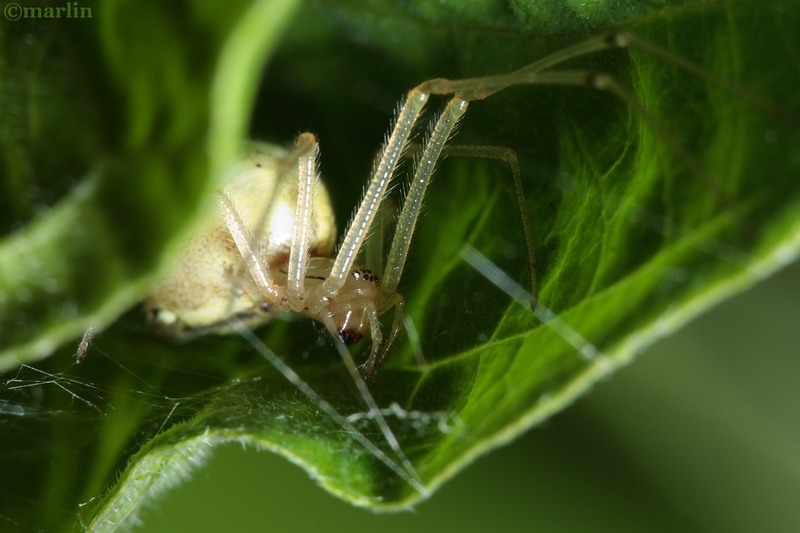 Many types of spiders and insects use this method for building a home. I found this specimen roaming about in the leaf litter of a deciduous forest in northern Illinois. 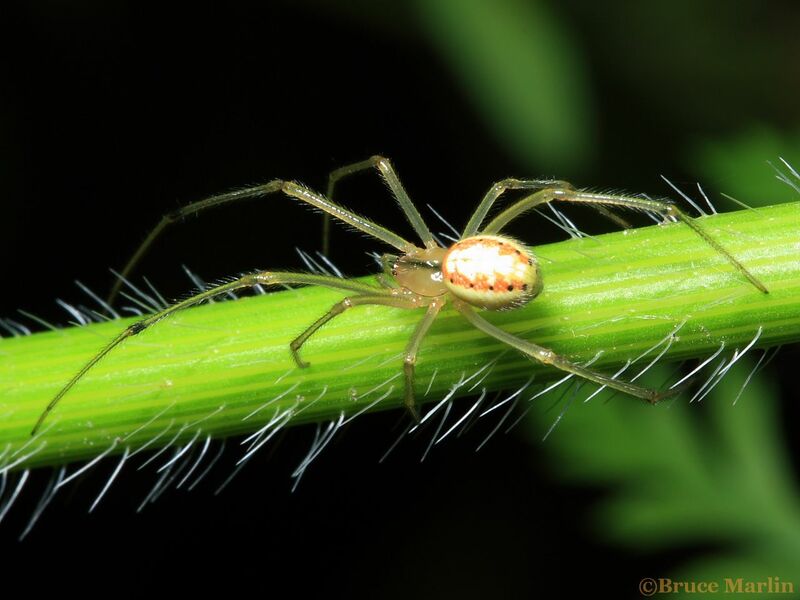 Common in North America, cobweb spiders be found almost anywhere there are weeds, fences, trees, walls, or other upright structures to build their webs. They will eat almost anything that is small enough to get trapped in their webs. Like most web-building spiders, cobweb spiders tend to have poor vision – they don’t need to see very well because they can “feel” prey when it gets caught in their webs. 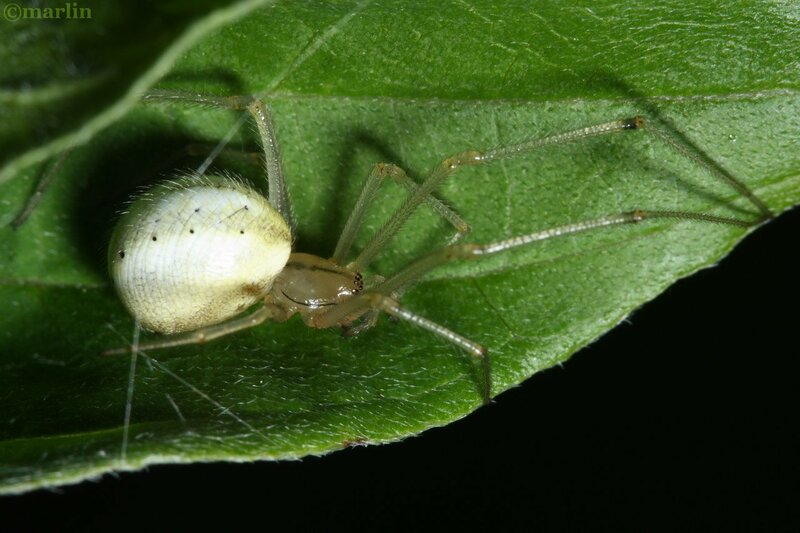 Most cobweb spiders are considered beneficial to humans. They eat flies, mosquitoes, and other annoying creatures.